This is the first article in the series of articles exploring distributed java application development. In this article we will discuss some basic concepts. Scalability : Ability to handle additional load by adding more computational resources (CPU , RAM, Disk, Network etc..). Scalability can be Vertical scalability and Horizontal scalability. Vertical scalability (Scaling Up): is handling additional load by adding more power to a single machine. i.e By adding a faster CPU, add more RAM or using a faster Solid-State Disk (SSD). Horizontal scalability (Scaling Out): is handling additional load by adding more servers. ensuring data consistency and process synchronization. 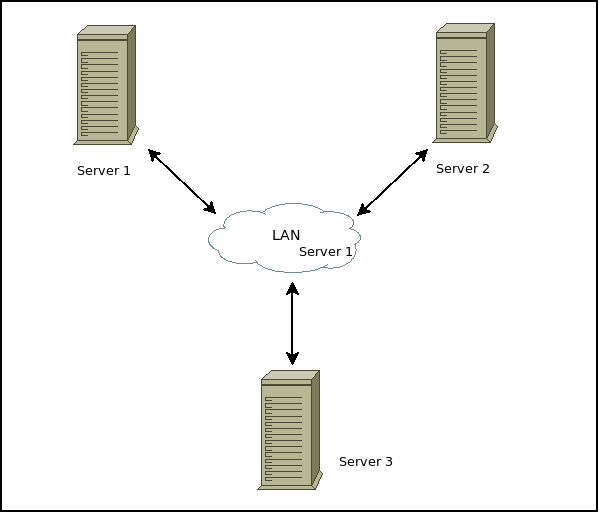 The distribution of processing load among the group of servers is known as server load balancing. A server failure can be because of many reasons; system failures, planned outage, hardware or network problems etc. over the failed server’s load transparently. The failure of an individual server is invisible to the client. High availability can ensured by not having any single points of failure. Our traditional single-server solution can be good for scalability (add more memory and CPU), but not for high availability as it has single point of failure. We traditionally start with single server architecture for our applications. single server can handle. Scaling up (Vertical Scalability) (Fig A) can be used. upgrading is disproportionately high relative to the gains in server capability. follow a scale out (Horizontal Scalability) (Fig C) approach. low-cost hardware and operating systems (cluster of servers). A cluster is a group of application servers that transparently run your application as if it were a single entity. In order to implement server clustering we need distributed applications/technologies. There are different types clusterings at different tiers like DB Clustering, Hardware Clustering, Application Server (AS) Clustering and Application-level Clustering. This entry was posted in Distributed Systems, java and tagged Distributed Systems, Non-Functional Requirements, Scalability. Bookmark the permalink.